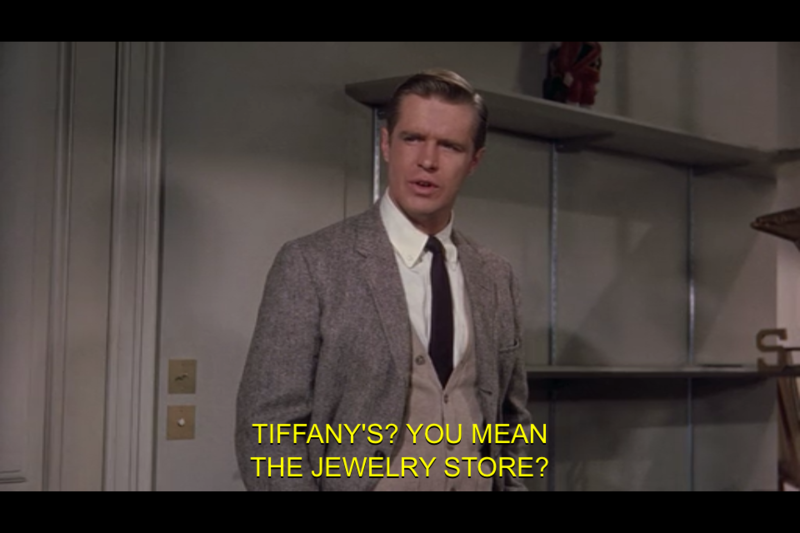 Breakfast at Tiffanys (1961) Quote (About tiffanys jewelry store jewelry) Tiffany’s? You mean the jewelry store? 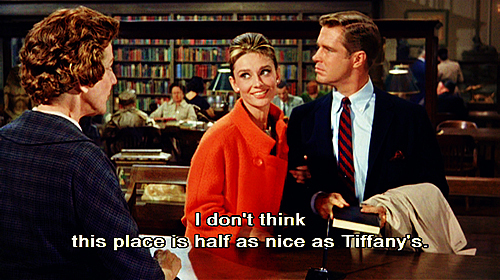 Breakfast at Tiffanys (1961) Quote (About tiffany jewelry funny) I don’t think this place is half as nice as Tiffany’s. Breakfast at Tiffanys (1961) Quote (About yourself single sad run alone) Because no matter where you run, you just end up running into yourself. 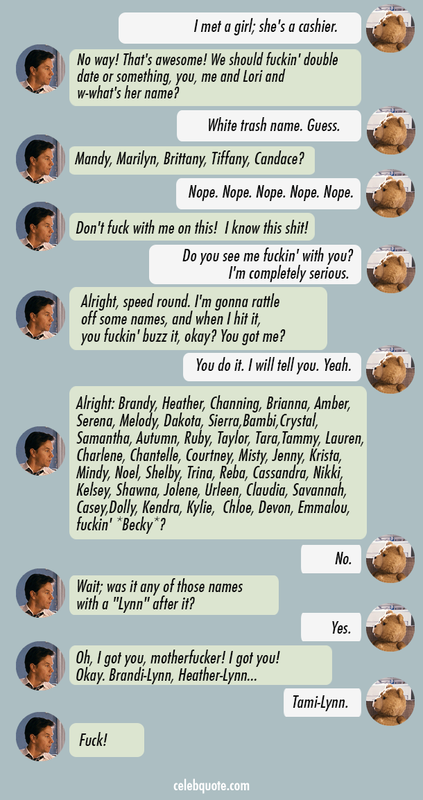 Breakfast at Tiffanys (1961) Quote (About money minute marry gifs funny black and white) I’d marry you for your money in a minute.